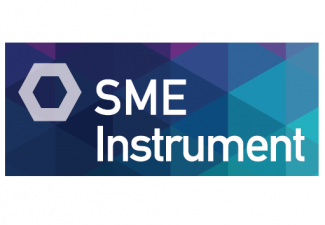 To date, each euro invested by the SME Instrument has generated 1.6 M € of private investment. It is estimated that by 2022 this amount will triple to 4.8 M €. Four years after the start of the program, each € 1 invested by the SME Instrument managed to leverage 1.6 € of private investment. But the strong effect of traction of the SME Instrument does not stop here, the EASME (Executive Agency for SMEs) projects that by January 2022, each € 1 invested will attract € 4.8 of private investment. After four years of validity of the financial instrument of the European Commission for small and medium enterprises par excellence: Horizon 2020 Instrument for SME, the first results have been published that are quite promising. Since its inception in 2014, more than 47,000 applications have been received and the Instrument has invested 1,300 million euros in a single selection of 3,200 small businesses to obtain their revolutionary innovations more quickly in the market. One of the advantages of the SME Instrument is that it reduces the perception of financial risk of purely technological companies for possible investors and lenders since it allows validating their product in the market, which allows to stimulate the growth of the same. The non-refundable subsidy is non-dilutable and, therefore, makes its financial base more solid. This in turn attracts more private investment as investors rely more on the company’s finances. In short, the SME Instrument helps close the gap between product validation and commercialization, where private investors enter. From 2014 to 2017, companies financed by the SME Instrument have attracted private monitoring funds of 1,350 million euros. A large majority – € 0.97 billion – came from capital investments and the remaining amount of debt financing, IPOs and acquisitions. Meanwhile, the SME Instrument spent a total of 830 million euros on companies. This means that every € 1 spent by the program has attracted € 1.6 of private investment. And this is only the beginning, since the financing of the SME Instrument comes when the company is at an early stage of development and at the beginning of its growth curve. It is also a young instrument, so that the more progress is made and the more companies grow, it is expected that the greater the private investment capable of generating. In addition, thanks to the SME Instrument, companies increase investment rounds in a shorter period of time. The average time to obtain a new investor falls from 20 to 8 months and the financed companies get a private investment of 6 million euros on average instead of the 4 million euros that they could access before the concession. The conception of the SME Instrument goes beyond a simple subsidy. It offers companies the support, international advice and the necessary network to grow quickly, conquer new markets and accelerate the pace of their innovation. This is what makes this financing instrument different from other schemes. Business acceleration services help them structure their businesses, obtain their strategies and knowledge to locate them and present them in the appropriate networks. With this “smart money”, the SME Instrument saves the critical investment gap in innovation in the initial stage and ensures that companies have what it takes to stay strong on their growth path.